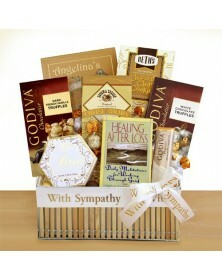 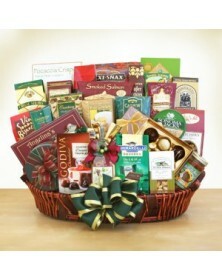 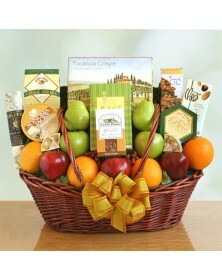 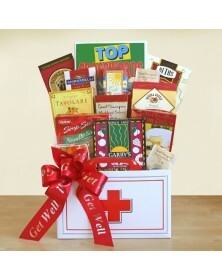 Show a friend, family member, or coworker you care with one of our get well food gifts. 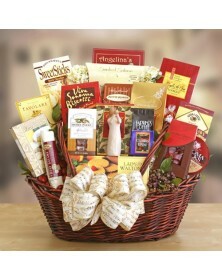 Although many suggest specific remedies, relaxation and healthy food always help with getting well, and that’s exactly what our baskets contain! 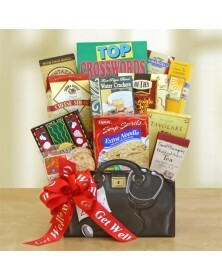 A hot bowl of chicken soup with crackers, a warm cup of tea, or vitamin C drink are all possible with our great get well gift baskets. 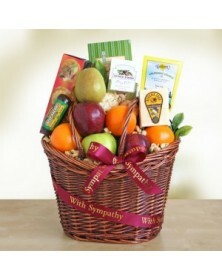 If anyone close to you is sick, send them a caring get well message with one of our food gifts. 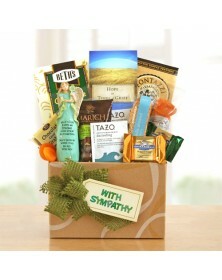 Ghirardelli milk and caramel bar, chocolate chip cookies, water crackers and lemon tea cookies.